Sitting here looking out at the snow falling, reflecting on the fact that just two days ago I was sitting in sunny Orlando! The only nice thing is the snow led to a snow day. 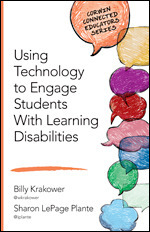 What brought me to Orlando was the annual Assistive Technology Industry Association (ATIA) conference. This is my second year attending this… Continue reading #ATIA15 Reflection: Light years ahead of the past, but who is being left behind.